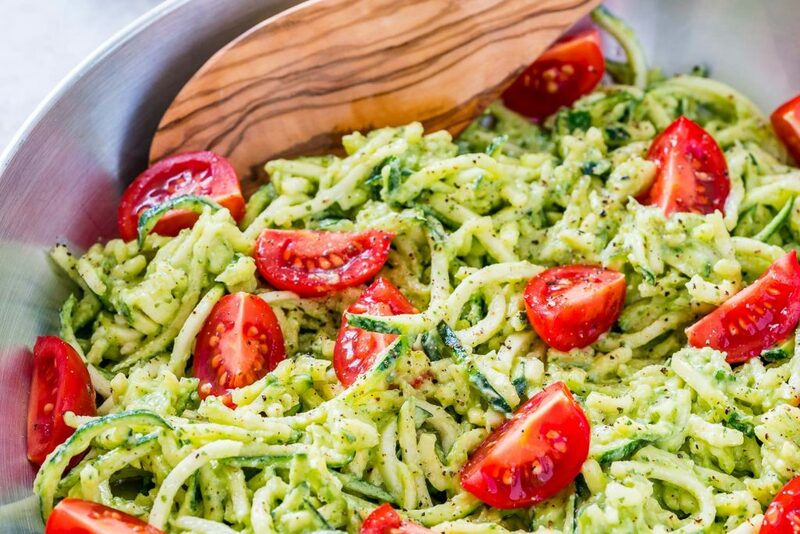 Try Zoodles + Fresh Avocado Sauce for a Creative Clean Eating Pasta Dinner! 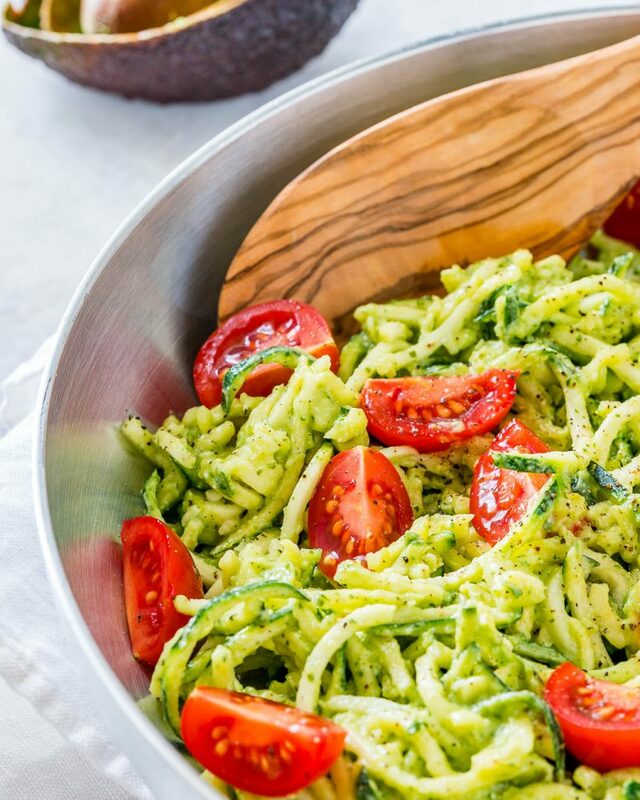 In a food processor, blend avocado, garlic, cilantro, oil, lemon juice and 2-3 Tbsp water, until smooth. Season with sea salt and pepper to your taste. 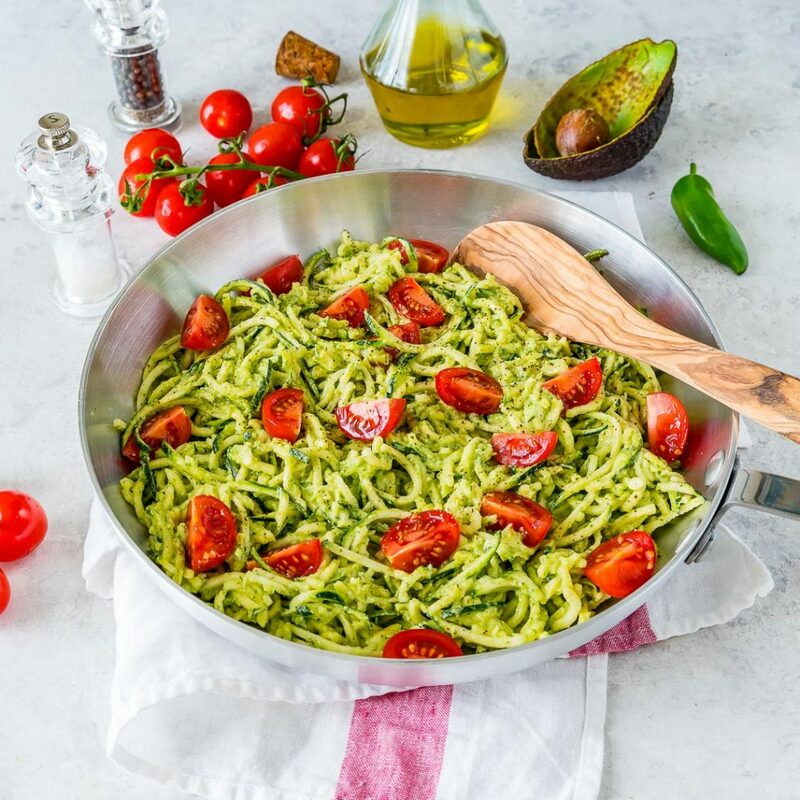 Heat a large pan over med-hi heat, add a tsp avocado oil or extra virgin olive oil, and add in zoodles. 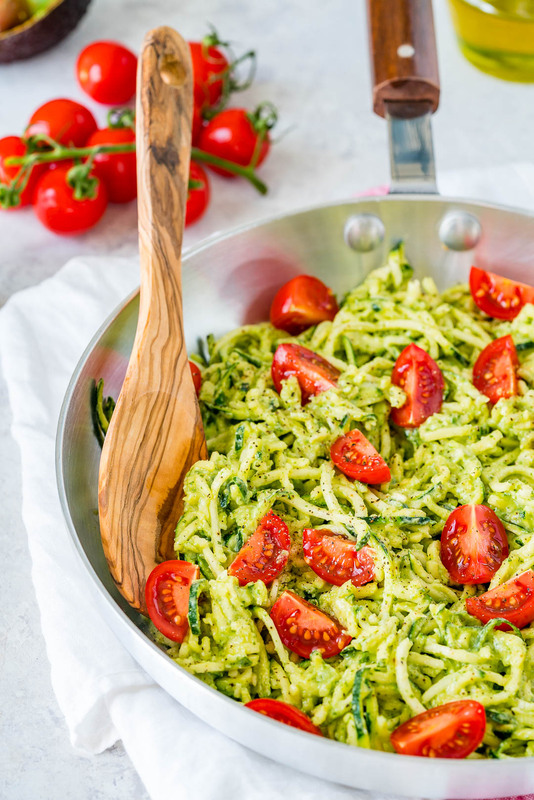 Sauté for just 1 to 2 minutes, until slightly soft and bright green. 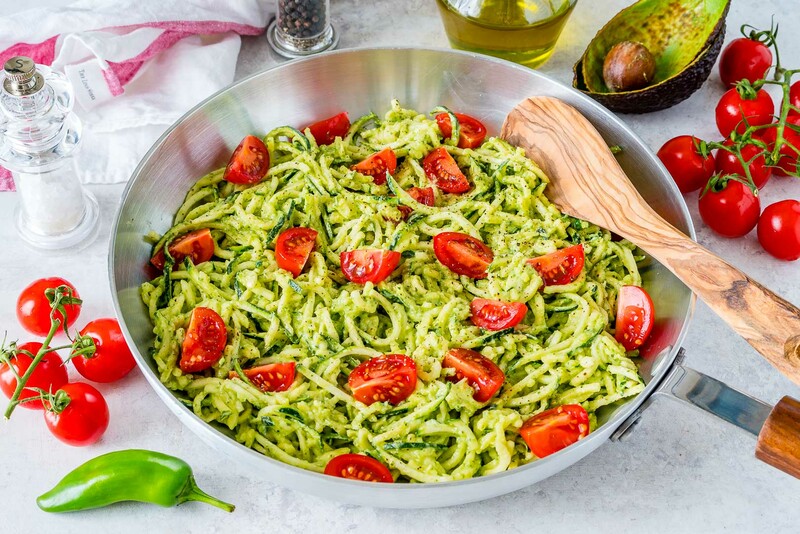 Add in the avocado sauce and cherry tomatoes and toss very gently to coat.